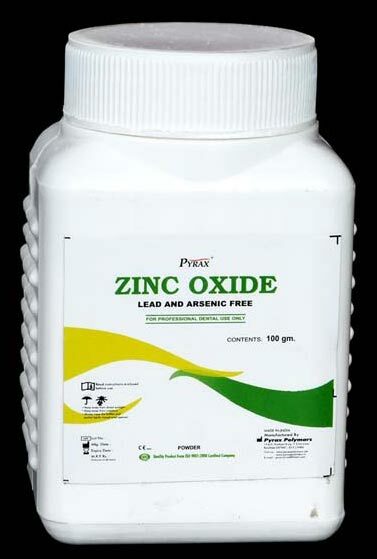 We are a distinguished Manufacturer, Exporter and Supplier of Zinc Oxide in India. Mixed with Eugenol liquid, Zinc Oxide is used as temporary cement. Zinc Oxide Powder provides temporary fixation of crowns & bridges. It is also used as a cavity linear under most restorative materials. It is easily dissolvable in Eugenol liquid and hence giving out very smooth paste.